The first phase began at 12:00 Moscow time on September 14 and ran until 12:00 Moscow time Thursday, October 12, over which time a total 3,496,204 tickets were requested for world football’s showpiece event. A huge 150,000 applications have been made for the tournament’s opening match on June 14 and more than 300,000 for the final on July 15. 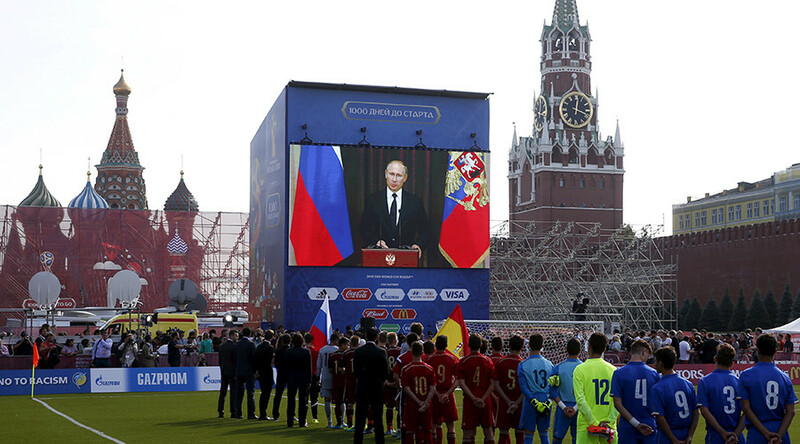 Both games will be held at Moscow’s newly-renovated Luzhniki Stadium, which has a maximum capacity of 81,000. The first sales phase will restart on November 16, where fans will be able to request tickets on a first-come, first-served basis. While most ticket applications came from residents of the host nation, fans from Germany, Brazil, Argentina, Mexico, USA, Colombia, Egypt, China and Poland made up the rest of the Top 10. There are just nine places at the World Cup left, with hosts Russia, Brazil, Iran, Japan, Mexico, Belgium, Korea Republic, Saudi Arabia, Germany, England, Spain, Nigeria, Costa Rica, Poland, Egypt, Iceland, Serbia, France, Portugal, Panama, Uruguay, Colombia and Argentina all confirmed as taking part. Teams who failed to qualify automatically through the group stage will meet in the play-off stage held from November 6 to November 14. After the play-off stage, the final Russia 2018 World Cup draw which will take place inside the concert hall at Moscow's State Kremlin Palace on December 1, which will see each qualified team allocated into groups for the tournament. World Cup Russia 2018 tickets are divided into Category 1, Category 2, Category 3 and Category 4 price brackets, with Category 1, 2 and 3 including price ranges exclusively for non-Russian residents, ranked most expensive to least expensive. Category 4 includes prices solely available to Russian residents. Tickets for the final match range from $455 to $1,100 for non-residents. Russian residents will be able to purchase the same tickets for 7,040 rubles ($121), the lowest price in World Cup history.